We are always looking for dedicated individuals who want to share their passion, time and talent as a member of our Board. 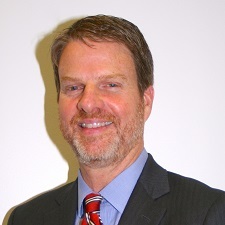 Scott has over 25 years in technology, personnel and business management. He has a strong management background with significant experience in business and software development, strategic planning, process improvement, and overall systems management and functionality. He is a strong communicator who is able to translate complex needs in an easy-to-understand manner. He is a powerful relationship builder and excels at putting together the right team to get the job done. 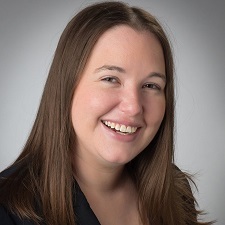 Emily is a Senior Manager with CDH, a full-service accounting and business consulting firm in Itasca, Illinois, where she has worked since 2008. She received her bachelor’s degree with a double major in Accounting and Business Administration with a concentration in Marketing in 2008 from Augustana College and her master’s in Professional Accountancy in 2010 from Elmhurst College. She has been an active participant in the Illinois CPA Day of Service held in September each year, including volunteering at Feed My Starving Children, The Northern Illinois Food Bank, and cleanup of a local forest preserve. Emily is originally from Glen Ellyn and currently resides in Woodridge. Jia’s passion and career trajectory can be summarized in ten words: developing talent, leading change, transforming culture, and making a difference. Jia is a collaborative and result-oriented leader with twenty years of experience in leading large-scale talent and change initiatives on both global and local scales, in various industries (IT, Financial Services, Hospitality, Power & Utilities), and across private and public sectors. 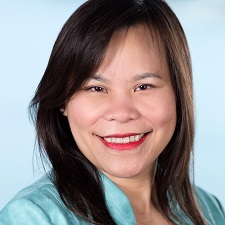 Jia is the Senior Manager of Diversity of Inclusion at Exelon Corporation, a Chicago-based, leading Fortune 100 energy provider, advising senior management and business leaders on D&I strategies for fostering an inclusive workplace culture that retains talent and drives innovation. In addition, Jia has a strong passion for community engagement and enjoys giving back through volunteering with Non-profit organizations. She currently serves on the Diversity & Inclusion Advisory Committee for Naperville 203 School District. Jia, her loving husband and their compassionate and creative daughter live in Lisle and enjoy gourmet food and traveling. Rebecca is a Licensed Clinical Social Worker who has worked in social services for the last 16 years. She earned her BSW from Loyola University Chicago and her master’s degree from UIC Jane Addams School of Social Work. In 2006, she began her journey providing individual and family counseling in private practice with Edgewood Clinical Services. Rebecca is now the part owner, President and COO of Edgewood and leads an amazing staff of nearly 80 employees. Rebecca is passionate about mainstreaming mental health and is committed in her professional career and personal life to finding ways to connect people with the necessary resources to support emotional well-being. At home, she has an incredibly supportive and patient husband; a confident and adventurous daughter; and a mellow, warmhearted son, all who love traveling to warm places any chance they get. Erika is the Executive Director with the YMCA of Naperville providing leadership to the YMCA Safe ‘n Sound operation. Safe ‘n Sound provides programs to children during Out of School Time, which includes Before and After School Program, Summer Camps and Schools Day Out programs. Erika has been part of the YMCA movement professionally for more the 25 years. She believes in building a stronger community through positive spirit, mind and body. Erika has lived with her family in Naperville since 2001 and loves that she can work and give back to the community where she lives. In her free time, Erika enjoys being with family, trying new recipes, swimming and traveling. Stacy M. Colgan, MSW, M.Ed., LCSW is the Supervisor of Social Work Services in Naperville School District #203. Prior to Naperville, she spent eleven years serving as a school social worker in Lisle, New Lenox and Lockport. 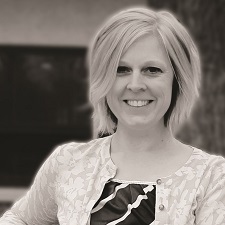 Stacy attended Monmouth College for her Bachelor’s degree, Loyola University for her Master’s degree in Social Work, and Benedictine University for her Master’s degree in Education and Leadership. In 2013, she was named the Illinois School Social Worker of the Year by the Illinois Association of School Social Workers (IASSW). Two years later, Stacy was named the National School Social Worker of the Year by the School Social Work Association of America (SSWAA). Stacy also serves on the board for the NEF, Naperville Education Foundation and the CUMC Children and Youth Council. Stacy grew up in Naperville and continues to live here with her husband Tom, and their two children, Katelyn and Griffin. With a degree in English and Communications, Patti Minglin graduated from Ball State University in 1992 being able to do two things really well: write and talk. Those two skills fed into Patti’s passion for storytelling and not only helped her move up the corporate ladder in the newspaper industry, but also led her to launch her own content marketing company, Go Girl Communications. As the CEO of Go Girl Communications, Patti helps small- to medium-sized businesses discover their brand stories and create innovative ways to tell that story to others. Patti believes knowing your story—whether as a business or as an individual—is what fuels innovation and growth and she has made it her mission to share the power of storytelling with others. 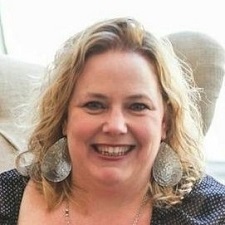 It’s no surprise that Patti is an avid reader and writer, contributing regularly to publications and blogs including sharing her voice every month as one of the co-hosts of the Naperville Mom’s Network talk show on NCTV17 and appearing in the cast 2015 cast of Listen to Your Mother Chicago. Patti resides outside of Chicago with her husband and three children. John has over 30 years of experience in the private wealth management business, helping high net worth families preserve and pass on their wealth according to their personal and charitable goals. He earned a bachelor’s degree in Finance from Indiana University and an MBA from DePaul University, and is a Certified Financial Planner. John has volunteered with local charitable organizations, including Literacy DuPage, Loaves & Fishes, and Inside Out Club. He and his wife have lived in Naperville for almost 30 years, raising 2 sons along the way. In his spare time, John enjoys hiking, traveling and playing tennis.